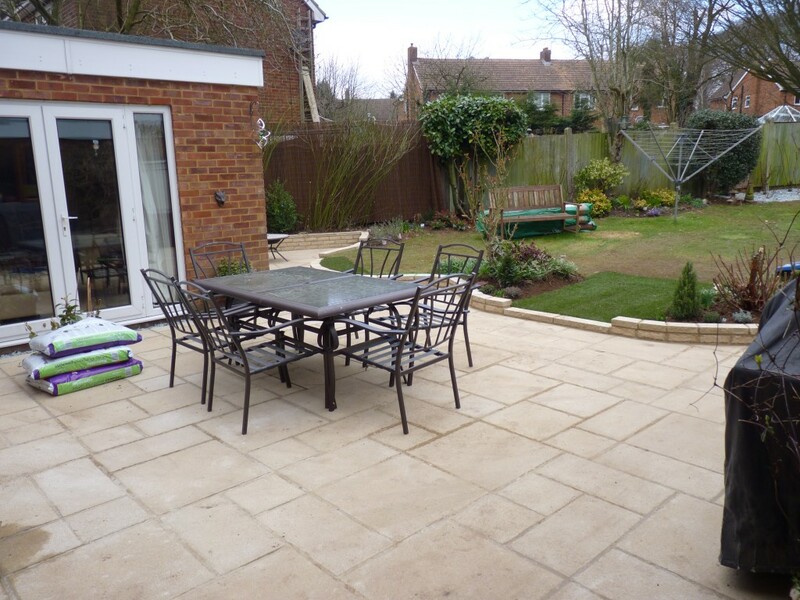 Create a larger and more interesting patio area with defined areas for specific uses. 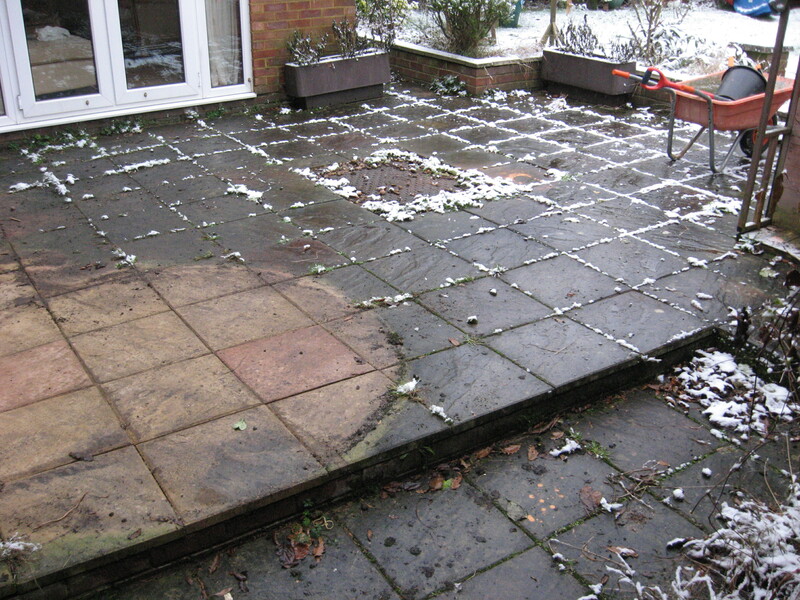 Finish off and improve the pre-existing decking and the area around it. 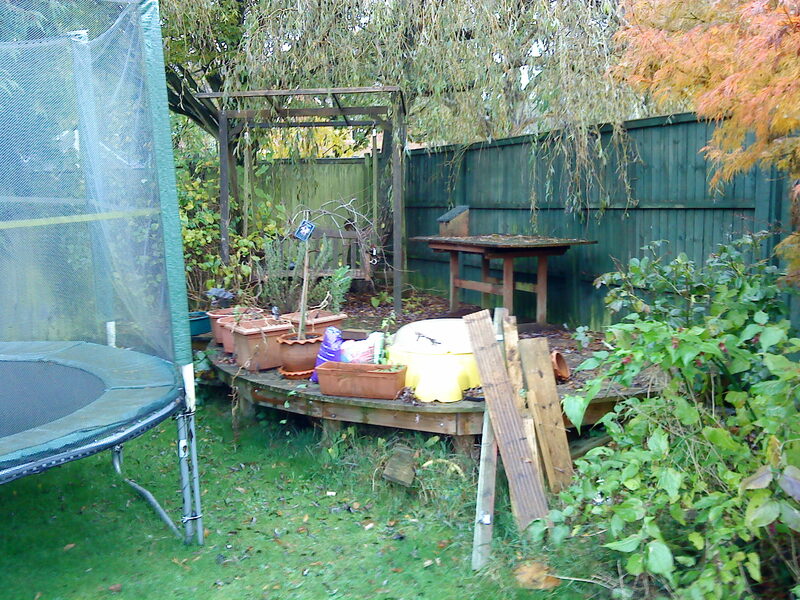 Before the makeover the garden was cluttered and overgrown and lacked shape and character. 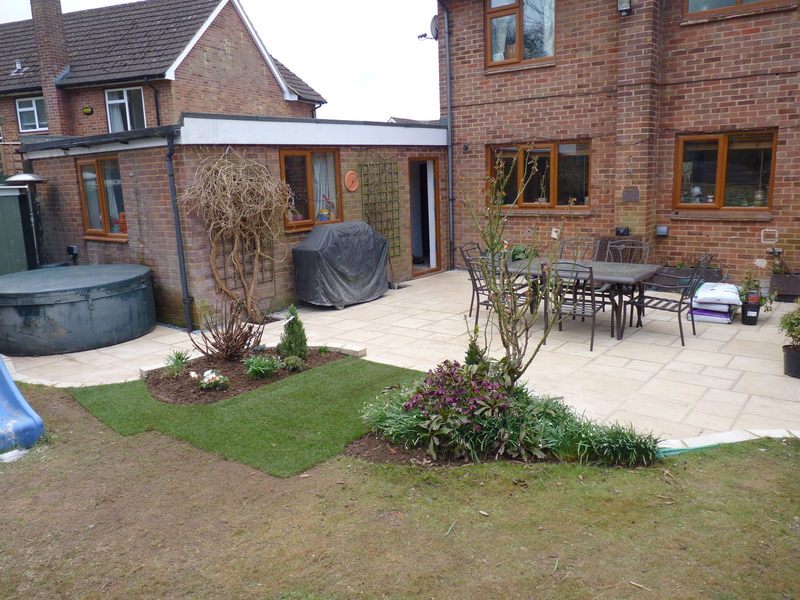 The shape of the new patio enhances the whole garden while the pruning and removal of overgrown plants makes the space feel bigger. 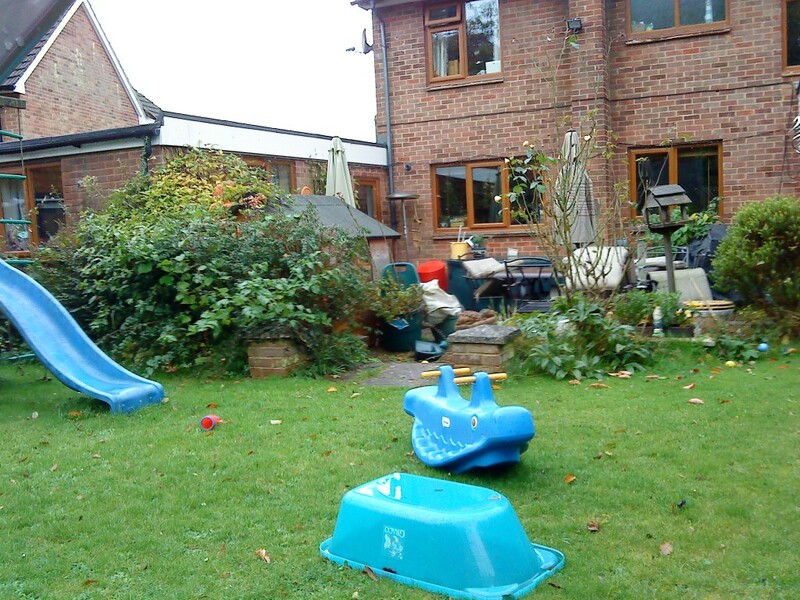 The hot tub now has it’s own space on a new section of patio while the wendy house has been relocated to a more appropriate part of the garden. 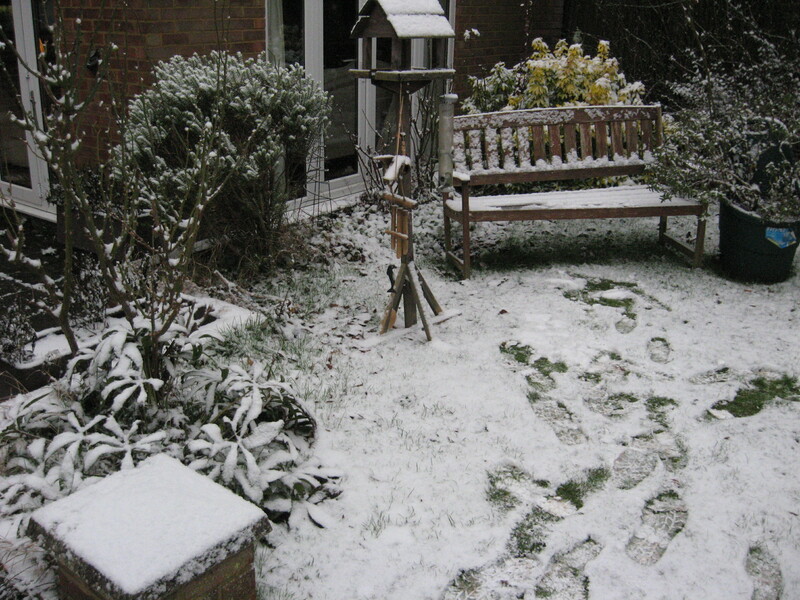 This corner of the garden is a real sun trap (despite the snow!) 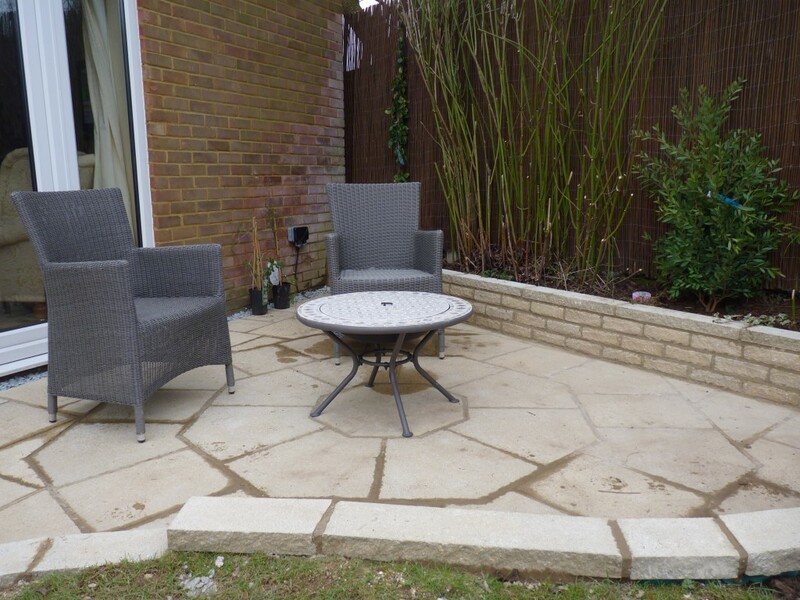 and therefore the client was keen to have a new section of patio here to sit and relax. 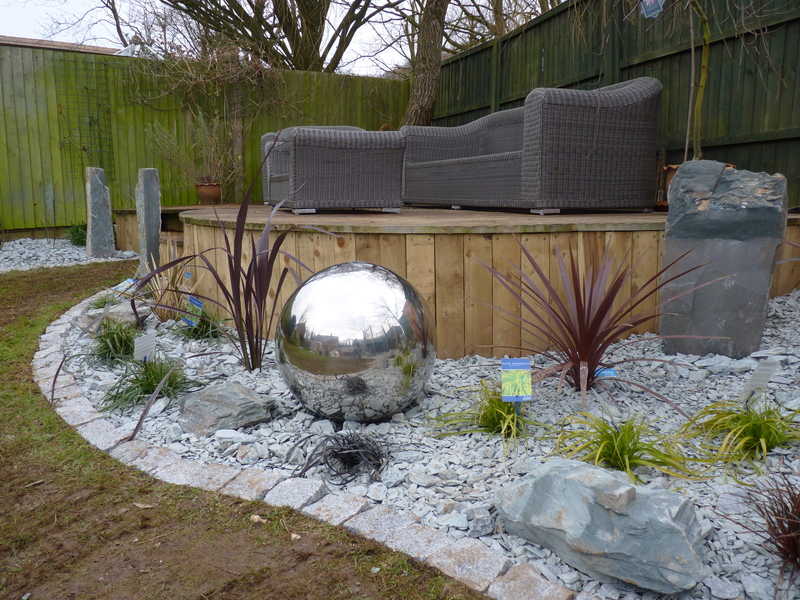 This corner now has a special octagonal patio and is surrounded by sun-loving plants that will smell beautiful and will also encourage butterflies and bees.